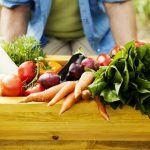 Gardening at home has its own pleasure and this hobby can be started at any age. 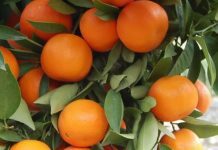 With the restricted space problem in most of the residential areas, you might be wondering how to grow fruit plants and trees in your home – well always you don’t need a huge orchard to grow them. Apple trees are one of the easiest fruit plants that can grow anywhere with plenty of sunlight; thus an apt choice for beginners. The soil for planting apples needs to be well-drained and there are three usual varieties which you can try. The 2 main species that can be grown by starters without any efforts are; standard which grows up to 20 to 25 feet, semi dwarf that grows up to 10 to 20 feet and dwarf which is up to 5 to 8 feet. Dwarf and semi-dwarf are good choices for beginners and for the ones who have problem of space. This is another easy to grow fruit plant that can be found in any home as you don’t really need expertise to grow it. The fresh, juicy flavour of strawberries can be enjoyed straight from your home garden and they are versatile to be planted anywhere – designer containers or simple hanging baskets are just enough. Get some packed seeds and plant them straight in the soil to enjoy the fruit throughout June and July. 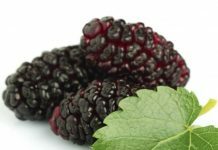 This is another low-maintenance, easy to grow fruit plant which is ideal for a beginner’s garden. They grow best in tropical climate, but you can get them indoors in winter if you keep them in containers. Most fig varieties bear a small crop in June and a bigger one in August to October. 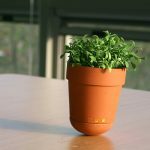 Apart from watering and adequate sunlight, this plant does not need any expert handling. 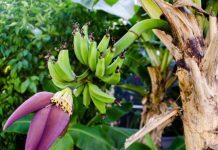 If you have recently developed the taste for gardening, you can take a try on this easy fruit growing plant. 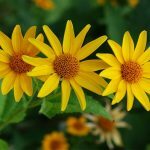 Just plant them from the crowns in spring or in autumn and keep it in a sunny or semi shaded location; the soil should be rich and fertile. No other efforts are needed and you will enjoy succulent red stems by the next year. Once the plant grows significantly it needs nothing but just watering. The attractive blueberry shrubs are easy to grow anywhere with lots of sunlight and well-drained, moist soil. This plant bears white flowers in the beginning of spring, and the berries take many weeks to ripen and you need to pick fully coloured berries not the pink ones. 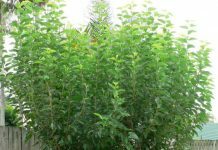 Any novice can try this beautiful plant at home. 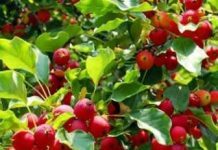 Cherry is another fruit tree that is loved by beginners; it is not only easy to grow in your garden where there is ample sunlight but also looks beautiful with fruits. 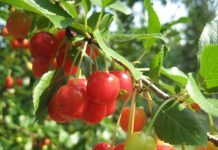 It can mature in a year and can bear delicious cherries with minimal gardening labour.